Judgment 105/2016, rendered by the Civil Chamber of the Spanish Supreme Court on 29 February, establishes the criteria pursuant to which the use of a third-party trademark as a search engine keyword must be examined in order to determine whether it infringes the trademark holder’s exclusive rights. To that end, the Supreme Court has followed in the footsteps of Alicante Court of Appeal and applied the doctrine established by the Court of Justice of the European Union in its judgments of 23 March 2010 (joined cases C-236/08 -Google France v Louis Vuitton-, C-237/08 -Google France v Viaticum- and C-238/08 - Google France v Centre National de Recherche en Relations Humaines), 12 July 2011 (C-324/09, L'Oréal SA v eBay International AG) and 22 September 2011 (C-323/09, Interflora Inc. v Marks & Spencer plc). ii) where it is clear to the average Internet user that the goods or services advertised do not come from the trademark holder or from an undertaking economically connected to it. 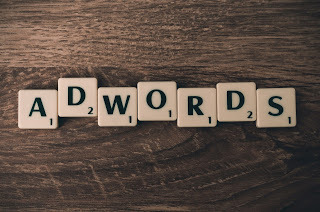 In this specific case heard by the Supreme Court, the defendant had used the trademarks “masaltos” and “masaltos.com” as keywords in order to contract Google.es’ adwords service. Thus, when Internet users put those terms into the search engine, the defendant’s advertisement appeared on the upper part of the results screen, with a link to its website. The ad nevertheless did not contain any of those terms; instead, the following wording appeared: “aumentar su altura de 7 cm/ bertulli-zapatos.es. Zapatos con plantillas para aumentar la altura www.bertulli-zapatos.es” (“increase your height by 7 cm/ bertulli-zapatos.es. Shoes with insoles that increase your height www.bertulli-zapatos.es”). The Supreme Court upheld the lower courts’ dismissal of the action on the grounds that, since the plaintiff’s trademarks did not appear in the ad in question, consumers were clearly made aware that the companies were different and in competition with one another, and so the origin indicating function of the trademark was respected. In the Supreme Court’s view, no detriment was caused to the advertising or investment functions either. In this regard, the Supreme Court underscored the fact that exclusive trademark rights are not absolute. It warned that, taken to the extreme, such a situation of absolute exclusive rights could give rise to malfunction in the marketplace, leading to reduced market transparency and the obstruction of competitors’ lawful commercial activities. The Court lastly rejected the appellant’s argument that the appealed judgment contradicted Granada Court of Appeal’s findings of 14 March 2014 and Madrid Court of Appeal’s findings of 30 September 2013, confirmed by the Supreme Court itself in its judgment no. 98/2016 of 19 February. In both judgments, the action for infringement of the “masaltos” and “masaltos.com” trademarks, which had been used as Internet keywords, was accepted. Here, the Supreme Court pointed out that there were different facts at issue in those cases, since the trademarks in question also appeared in the wording of the sponsored ads and on the website to which the ad redirected, respectively, and so in those cases the requirements for trademark infringement to have occurred, as established by CJEU case-law, were met. Basically, the Spanish Supreme Court has naturally fallen into step with the Court of Justice in respect of these increasingly common cases of use of third parties’ trademarks as keywords in Internet advertising.